Priya joins Arduino team… @beachbrake « Adafruit Industries – Makers, hackers, artists, designers and engineers! I’m happy to announce that the Arduino family is now bigger: Priya Kuber (twitter, site) is going to help us out on our blogging queue as well as managing several internal projects. She is living in New Dehli, and has fallen in love for electronics & tinkering at the age of 12 in her fathers’ workshop at home. 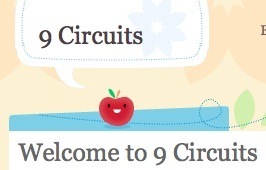 She is also the co-founder of 9circuits, one of our indian distributor. Young, yet well experienced, she is familiar with coding and in dealing with online communities. Above all, I am challenged to share the Arduino Blog with a woman (in a man-oriented world like electronics is) from India (one of the most relevant coutries in terms of electronics and components supply). Stay tuned for new, upcoming surprises!